East Timor Legal News (ETLN) is an archive of legal news reports from East Timor from April 2006 until May2008. ETLN is a reconstruction of the legal news archive originally published on the East Timor Legal Information Site (ETLIS) which has been re-published here. 1. 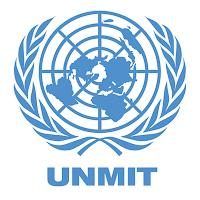 UNMIT Daily Media Reviews The United Nations Integrated Mission in East Timor local media monitoring disseminates English translations of reports in the East Timor national media (newspapers, television and radio). This information was collected and archived in chronological order in the Legal News section of ETLIS. 2. Press releases from the National Parliament of East Timor These press releases issued by the External Relations office of the National Parliament's contain summaries of the plenary proceedings, the bulk of which relate to legislation under consideration by the Parliament and discussions on national legal issues as well as the record of the voting in plenary. While these press releases are issued only in the Portuguese language, and for the purposes of ETLIS, these are translated automatically using free software on the internet. These translations are then checked and obvious errors corrected. These press releases are archived in both the Portuguese original text and the automatic English translation. 3. Press releases from the East Timor Council of Ministers These press releases contain summaries of the meetings of the East Timor government's Council of Ministers and include decisions on new government legislation and draft laws that are to be submitted to the Parliament as well as all other important decisions of the Council of Ministers on matters of State. These are issued in Portuguese and Tetum. 4. 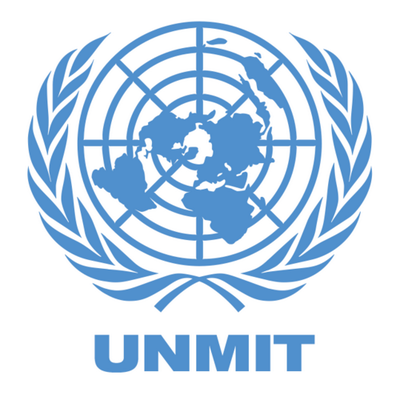 Security Reports from the United Nations Police in East Timor Until this year, the UNPol security reports were issued several times a week. Now, summaries are issued once or twice a month. They are also principally comprised of information about the state of public security in the country as well as statistics and details of arrests and crimes. These reports are issued in both English and Tetum. 5. Press releases from the Office of the President of the Republic These are not frequent but most often pertain to critical matters of State and the law. They are usually in Portuguese. One of the most important sources of information on legal matters in East Timor is the Judicial System Monitoring Program and other law and justice organisations such as HAK and Fokupers. JSMP press releases are entirely about legal issues including cases (along with case reports) and are issued in both Indonesian and English (as well as Tetum from time to time). The JSMP court reports are a vital source of information that should be more widely available. There is also the not infrequent press releases from international law and justice organisations such as Human Rights Watch, East Timor Action Network and others that are also one of the sources of information. 7. International Media Reports There are frequent reports in the international media about legal issues in East Timor. In the case of international media reports, headlines links to the original source of the report are made available through an RSS news feed. Legal issues dominate political and social life in East Timor and there is always a strong public discourse about the legal problems that the country is facing - particularly since the disintegration of the rule of law in 2006 and the armed attacks on the country's leaders on 11 February 2008. There are numerous reports in the national media covering these issues.